My novel Midnight Riot is officially released in the US and Canada on the 1st of February 2011 and will be available at all good bookshops(1), online and in many electronic formats. A round up of links to the online reviews can be found here. 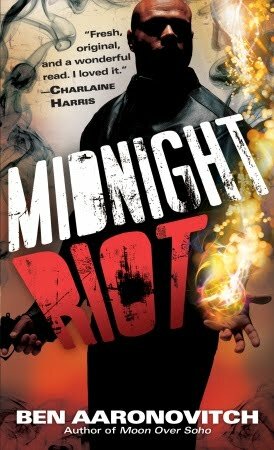 Midnight Riot is published in the UK by Gollancz as Rivers of London and a second book featuring the further adventures of Peter Grant, Moon Over Soho, will be released on both sides of the pond this spring! (1) And hopefully most of the bad bookshops as well. It was a lot of fun and quite unnerving and I'm really glad that they didn't tell me I was talking to an estimated 12 million people until it was safely over. Those of you who missed it can catch up on BBC catch up here. Thanks to everyone who asked questions and those that have left me nice messages on twitter and email when I got back. Tonight, six o'clock, you, me and Simon Mayo just chatting about my book - no pressure. I apologise for the sparsity of blogs recently but I'm under orders, from mein publishers, to work on my website and blog in readiness for the US Launch on Feb 1. When they're up and running I shall announce it here and get back to drowning you in the trivia of my life. I don't know why, and I'm certainly not going to look this gift horse in the mouth, but I will be in the studios of BBC Radio 2 on Monday plugging my book on Simon Mayo's Book Club. There will be a half hour interview, with musical interludes, after which I will answer questions online. Details are here. 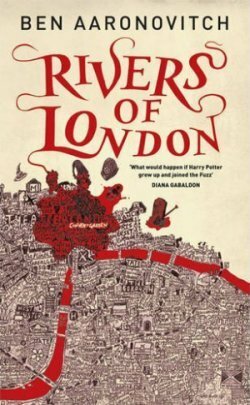 That's Ben Aaronovitch discusses 'Rivers of London' at 1800 on Monday the 24th of January. They even provided a sample chapter for you here. Although I noticed that they have redacted the swear words. I shall be signing copies of my new book 'Rivers of London' and any other Ben related merchandise you might want signed, at Forbidden Planet tomorrow at 13:00 (that's 1 PM in old money). Be sure to get their early to avoid disappointment (particularly mine). If you miss the signing at Forbidden Planet on the 15th January do not fear for I shall be signing again on the 18th of January from 12:30 to 14:30 at the Covent Garden branch of Waterstones. 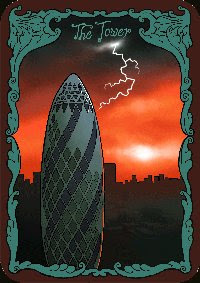 Today was supposed to be the official UK launch day of my first novel 'Rivers of London'. As it happens the books have been available from Waterstones, Amazon and other booksellers for days now but I had the 10th of January ringed in my diary so I'm going to blog anyway -- so there! 'Rivers of London' is published by Del Rey as 'Midnight Riot' in North America at the end of January watch this space for updates. Biggles: Adventures in Time is just such a turd. A summery of the source material can be found at Wikipedia and a casual glance reveals that it offers the putative adaptor a wide range of options. You can have straight up war films (in both World Wars no less) or Indiana Jones style adventures between the wars or post war detective dramas. Rumour has it that the original writing team were aiming for Indiana Jones -- a film series that was proving staggeringly successful at the time. There was just one last question before the film could be made, the same question faced by all films with a British hero -- how to shoehorn an American character into the plot. Not really a problem in this case: Americans are plausibly all over the place in this historical period and especially prominent in the later stages of both world wars; they can be old friends or the other half a mismatched buddy team thrown together by fate or the War Office, they could be the love interest or they could be a combination of all of these things. They chose none of these options instead they plumped for a time travel story instead. I've tried to summarising the plot several times now but the pain is too much if you want to know the details then check the wiki page. You can see the appeal it allows them to drop an American 'ordinary Joe' (from the modern day no less) into the Biggles story. There we can contrast his lovable modern American irreverence and 'can do' attitude with the stiffest of stiff upper lips of the Great War. 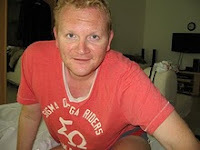 And to be honest with a bit of effort you could make that work, unfortunately Biggles: Adventures with Gibbons doesn't. But Ben, I here you cry, what does this have to do with gibbon spotting. It's very simple: the single most distinctive characteristic of the gibbon is their inability to understand story or to differentiate good story material from bad story material. They have a 'tin ear'(2) for story. What makes the bloody awful 'time twins' plot so bloody, bloody awful is that it shows no understanding of how stories work. Unlike it's direct inspiration 'Back to the Future' the time travel aspect of Biggles has no bearing on the plot whatsoever it's merely a macguffin to get our Ordinary Joe back to the Western Front, the time jumps are arbitrary and unrelated to the dastardly German's secret weapon plot which has the result of sucking all the tension out of both plots. Now I know, from watching the film, that the actual screen writers were not total incompetents and therefore the problem lies with a gibbon -- probably a producer. When you consider the amount of money, effort and talent that goes into even a modestly budgeted film it becomes clear why gibbons are a menace and must be driven out of the industry before it is too late. (1) Can I make it clear that I'm not talking about real gibbons here. (2) You can learn how to read stories but it takes a lot of practice that's why most writers have alot of embarrassing crap hidden away in their lower drawers. It's like playing a piano -- you have to practice. I will be signing my new book 'Rivers of London' and anything else that comes within reach of my sharpie on Saturday the 15th of January 2011 at one o'clock. Starting at 13:00; be there or be square. This is just a quick round up of some the online reviews of my book so far. 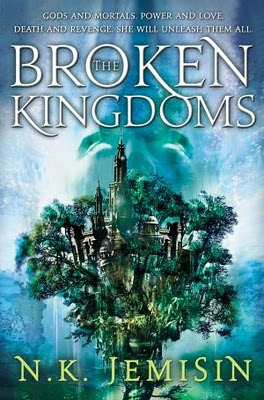 I was planning something a bit more elaborate but the book came out earlier in the UK then I was expecting. 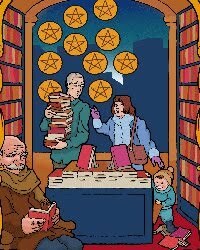 If you work in a bookshop your aim is to get all the books out of the stockroom on the day their delivered. The only exception to this is if the books are embargoed - selling an embargoed book is a hanging offence. Rivers of London is not embargoed so when large amounts of it turned up at your local Waterstones branch over the weekend they started putting it out on the shelves. Those of you you want a book that has been recommended by Peter F. Hamilton, Charlaine Harris and Diana Gabaldon, a book that My Family called the best book ever written by anyone ever in the history of time, then get yourself down to your local branch of Waterstones and take the pressure off those hard working booksellers. This blog deals with script problems in the latest episode of Primeval but before I get into it I think I should issue a few caveats. 1) This is just a quick assessment based on one casual viewing. 2) Primeval is no worse than a lot of British TV drama, it's just that its got CGI dinosaurs in it so unlike other programmes I don't fast forward through most of it. 3) Without an exhaustive and frankly pointless analysis of every draft of the script it's impossible to say whether the poor script was the result of writer incompetence or down to gibbon interference -- however, my money's on the gibbons. 4) Primeval is a complex production and many of the poor acting, shooting and editing decisions could well be beyond the control of the production team, lost light, failed sfx etc etc. Therefore I'm going to confine myself to the broad structural problems with the script. 5) I'd have done the story differently but for the purpose of this blog I'm going to assume that the basic story elements were dictated by the producers. 6) The Idiot Ball was passed around with such speed that at times I thought I was watching the rugby - far too many instances to go into in this blog. The script's principal sin is its failure to support its own turning points, particularly the revelation at the end that Abby and Connor lack the military background to do front line field work. The ARC is not portrayed as militarised in any way, leaving aside the costuming and prop failures, just throwing in a few ranks or some military slang would have helped. The turning point into the final act is really confused, Abby and Connor arrive back through the anomaly (the script misses the chance to ramp up the tension by having them do it in the nick of time before it's sealed) hug interchangeable action guy, then Connor manages to unseal the anomaly by accident letting in a dinosaur, then there is running around, then the dinosaur eats the anomaly device thingy and vanishes. And then we go back to the ARC to introduce Dr Bashir (Alexander Saddig) and the mini-skirt nerdette and the revelation that they're going to be confined to back room duty. Connor says that the only thing that was keeping him going in the Cretaceous was the thought of coming back and doing the work but there's no hint of that when we see him in the Cretaceous (he's desperate for frothy coffee instead). Again the turning point is not supported by the rest of the script and so Connor's protestations, despite the best efforts of the actor, lack any resonance. Tense action sequence split between Abby and Connor trying to escape through the anomaly and the ARC responding with military efficiency. The ARC: things seem different. Meet Dr Bashir who is (sinisterly) interested in future tech device. Revelation that the woman from the last series has died off screen(1). We have other little character options here, Anderson (the replacement maverick character) could have been unimpressed by Connor (still recovering) or funny little moments as Abby and Connor get used to the 21st Century again. Then we ramp up the tension. Anomaly begins to unseal (or whatever), battle stations as the ARC scrambles again but Connor and Abby are left behind. Connor wants to seal the anomaly with the future tecbno thingy but Dr Bashir resists (he wants it for his multinational of evil) . So Connor and Abby steal the device, confrontation in the arena, S-club 7, etc. Back to the ARC to find that they are still demoted to back room jobs (particularly since they lost the future time device thingy). Why was this script so poor? (1) Instead of that terrible 'as you know bob' scene in the corridor. I swear that even George Lucas couldn't have written any thing that bad.